Hello, my lovely lady friends! 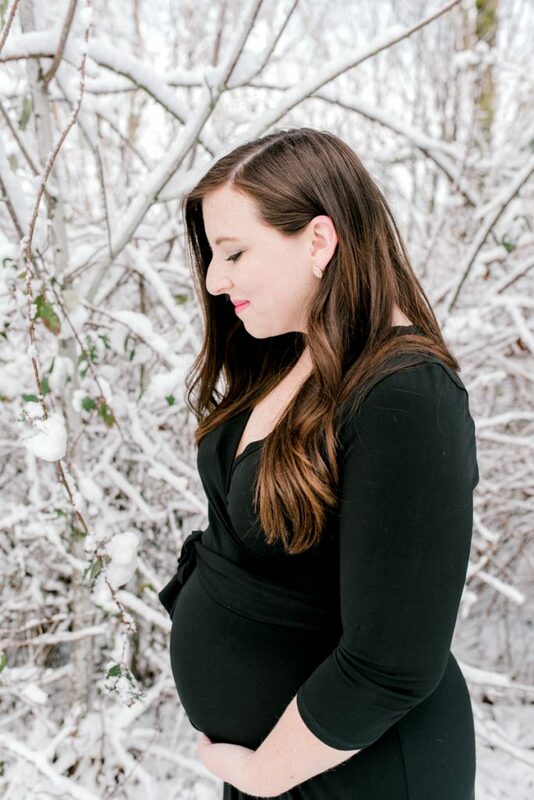 So, many of us want to have our maternity photos taken, but a lot of times we are scared, nervous, or maybe even don’t feel our most beautiful! 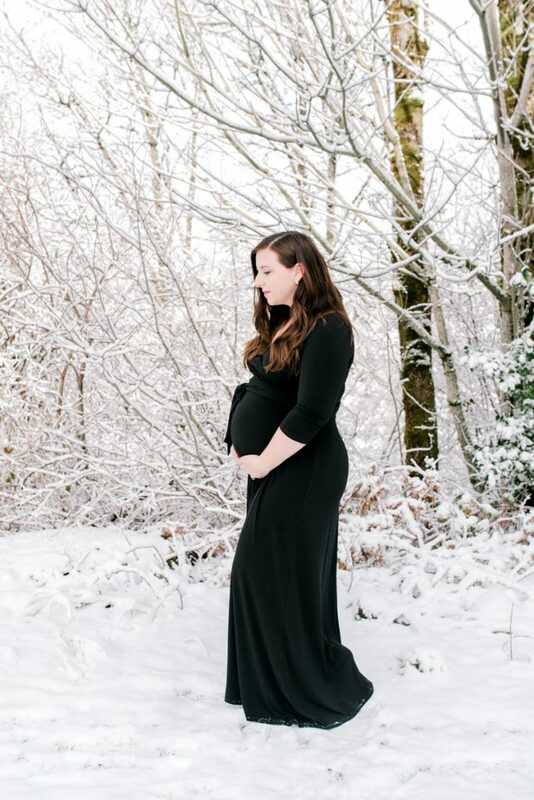 I know when I had my own maternity photos taken, I felt so miserable. And then to had insult to injury I found my first gray hair literally five minutes before our photographer arrived…sigh. However, the photos turned out beautifully and I do not regret having them taken at all! 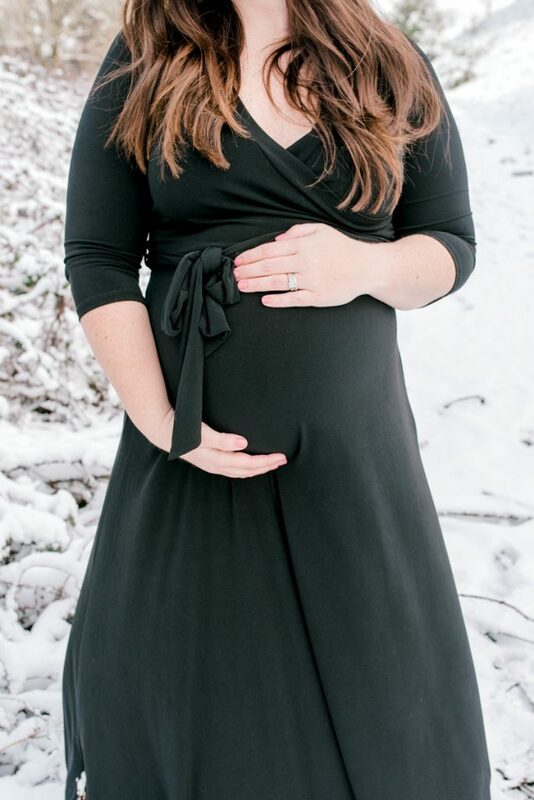 Let’s talk about a few things you can do to get the most out of your maternity session, shall we? 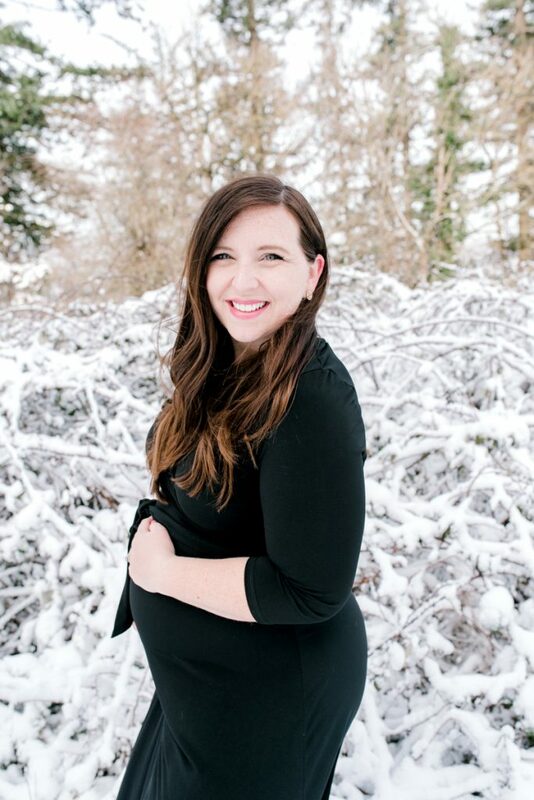 I generally recommend that I do my clients’ maternity sessions between 32 and 35 weeks simply because at that point, you have a lovely, well-defined bump, but you are still pretty agile. However, if this is a second or third (or fourth, etc) child, you’ll likely want to get your photos done on the earlier end of that range because generally women start showing earlier on after the first pregnancy. Whether you are hoping to have an intimate session in your home, or you need your photographer to rent a studio space for you, find a killer location with killer light. Any photographer will emphasize the importance of light in any shoot, so if you are planning something inside, make sure there are some large windows to use, and if you are planning something outside make sure you talk to your photographer about what time of day you should plan it to get the most beautiful light. 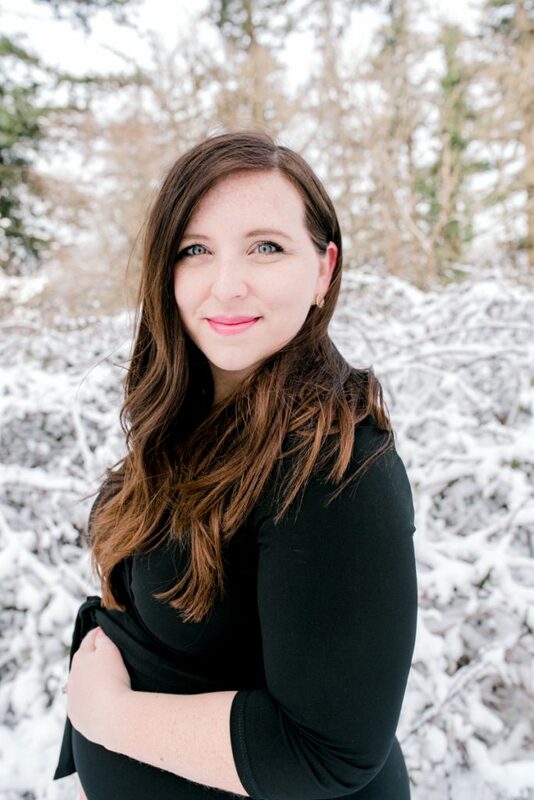 Also, I can promise your photographer has some location preferences, so if you are uncertain about where you should have the photos taken, make sure to ask her opinion! To be honest, I really recommend getting your hair and makeup done for any type of session with me. Not just because getting your hair and makeup done is fabulous (which it is), but also because it genuinely helps you feel fabulous. 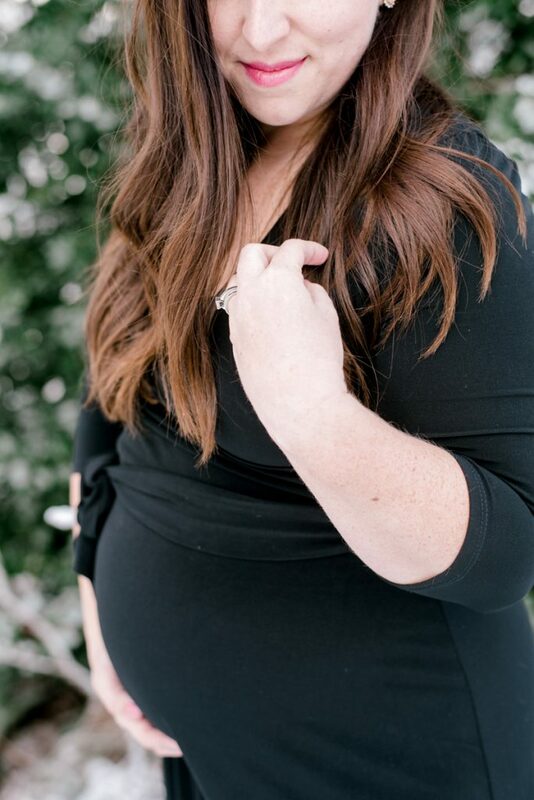 I’ve worked with many different hair and makeup artists in my time, but my favorite is definitely Brittany Blanchard because, well, she is fun, dependable and seriously good at her job! And, if I’m there, too, we’ll all end up having a girl party (kinda kidding, but mostly not). Have faith that your photographer is going to capture the absolutely stunning parts of you even if you don’t feel at your best. 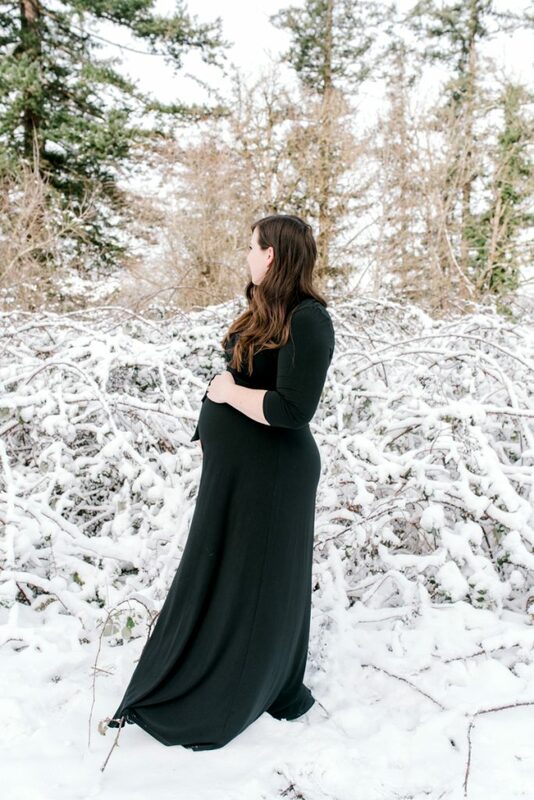 Pregnancy is hard because your body changes at such a rapid rate, and even though the change is for a beautiful reason, the whole thing can leave you feeling a bit unlike yourself (both physically and emotionally). I get it, but I am also so excited to capture all the beautiful parts of it. 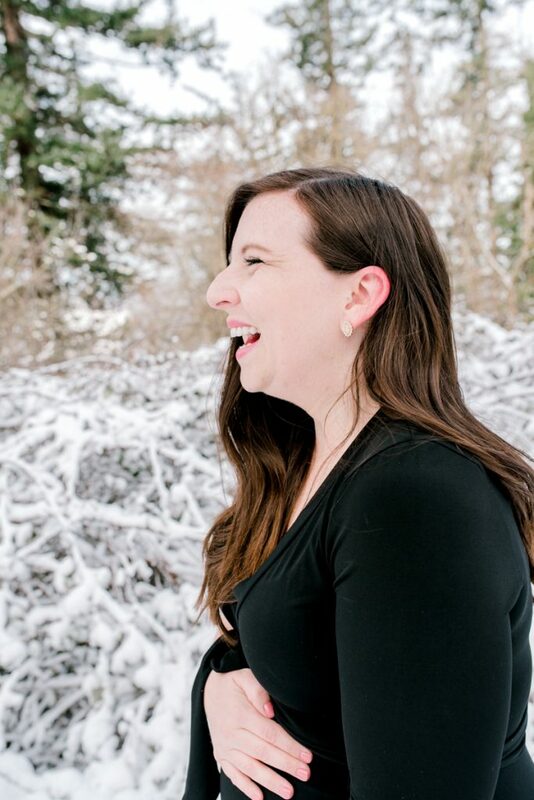 All photos from this blog post were taken with Meagan Gibson during Portland’s snowpocalypse. 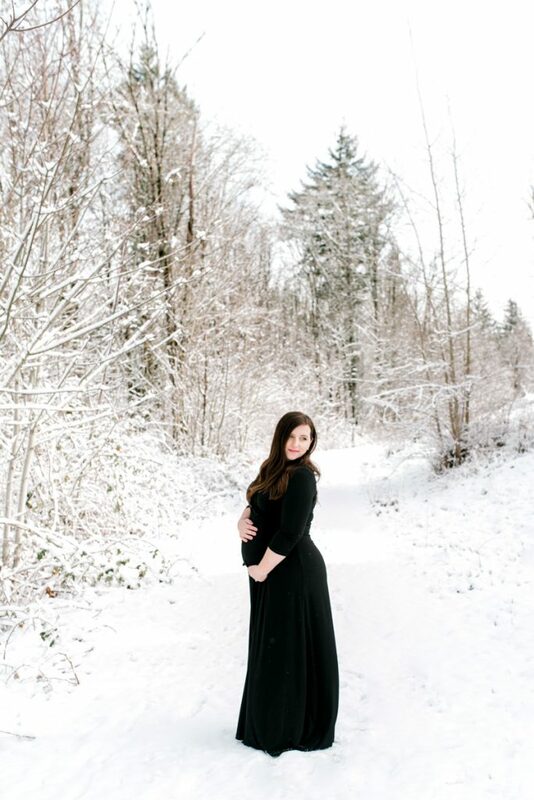 Thanks so much for braving the weather with me, Meagan, and congratulations again on your pregnancy! I can’t wait to see photos of your baby girl!